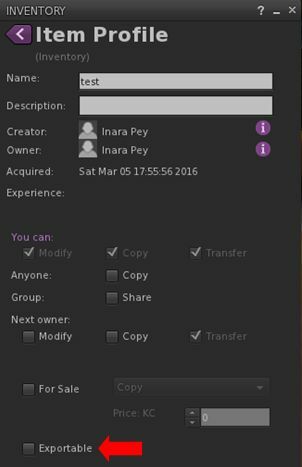 Nicky Perian announced the release of Kokua 4.0.1.37934 on Tuesday, March 1st 2016. The update sees Kokua gain parity with the latest release version of the viewer from Linden Lab (version 4.0.1.310054 (Maintenance release) at the time of writing), and also with the February 26th release of RLV version 2.9.16 from Marine Kelley. Not that if you are currently still using a test version of the viewer, the automatic update feature will not function. A separate download and install is required. Drakeo’s development focus is media and providing Slackware viewer packages. Upstream CEF frequently issues security updates and Drakeo puts those into his own Slackware packaged viewers and contributes updates to Kokua. These security updates from CEF come more often than the Kokua release cycle, however, our Test viewers can be used to maintain a level of currency. Please remember that Linux viewers are Alpha and that is even more the case now that we no longer have the benefit of Linden Lab’s Quality Assurance run through of new features added to Linux viewers. We do our best to provide stable Linux viewers, but with the vast number of Linux distributions problems will occur that may not have timely solutions. 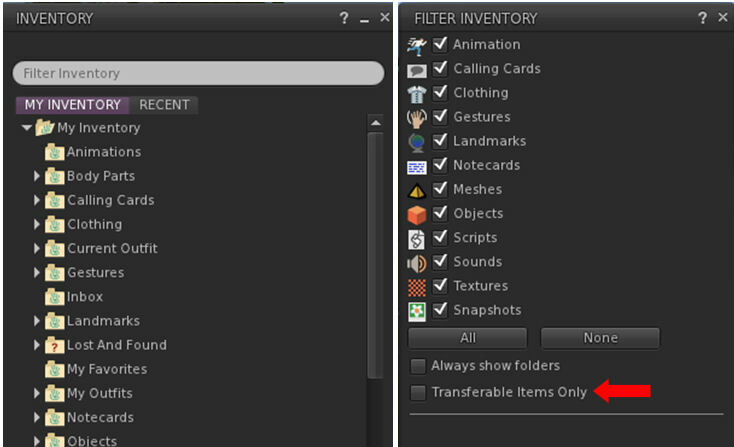 Kokua 4.0.1 includes a new Transferable Items Only inventory search filter. When active, this will limit the main inventory display to transfer enabled items only. To prevent possible confusion / worry about inventory loss, the option does not persist between log-in sessions when enabled. Kokua 4.0.1 adds an Exportable parameter to the Item Profile floater for OpenSim grids, allowing content creators to easily mark items they build as being exportable to other grids. 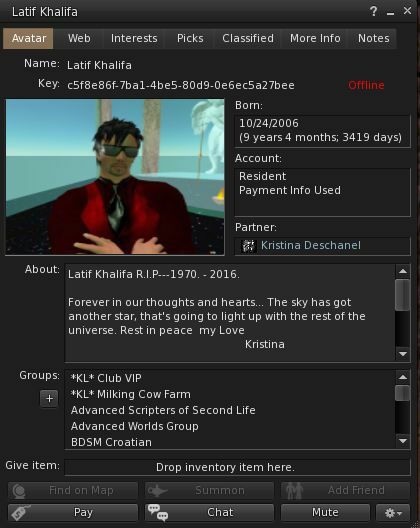 The option is not displayed by the floater when logged-in to Second Life. A new option added to Preferences > Kokua and to the Commands menu is Do Not Let Me Fly. As the name suggests, when checked, it prevents your avatar from flying even where flying is enabled. The option is specifically intended for use in combat zones where flying within the region may still be enabled, to prevent any risk of accidentally flying (such as when jumping an obstacle) and interrupting the combat flow. In addition to the above, the release includes numerous under the hood improvements and updates, all of which are listed in the downloadable change log for those interested. Opening on Sunday, March 6th at noon SLT is an ensemble exhibition entitled Solitudes, which is taking place at CK Ballyhoo’s CKB Gallery on Mistwood Isle. On display are works by Whimsical Aristocrat, Jamisson Burnstein, Sera Galaxy, Hana Hoo, Rawnie Lane, Johannes1977, Peep Sideshow, Ceakay Ballyhoo and myself. As the title of the exhibition suggests, each artist’s works (three each) on the theme of solitude. Such are the different approaches each of us takes to our work, the result is a broad range of images, each set of pictures distinct from the others, yet all recognisably linked by the theme. From avatar studies through ethereal, story-like images, to landscapes and sea views, the exhibition is set out on the slightly fog-bound beach at Mistwood Isle, the fog adding an appropriate level of atmosphere given the theme of the display. The opening will feature the music of Lisa Brune, and the exhibition itself runs through until the end of the month. For myself, I’m very honoured to have my pieces displayed among such a gathering of talent; particularly given some of them are artists I know well and admire for their incredible work. My thanks to CK for allowing me to be a part of it. OZ Night Club, floating in the sky over Calas Galadhon park, is one of the most popular romantic music venues in SL. Music in the high art deco-styled night club is from the late 20s, 30s, early 40s with more recent jazz, pop and occasional country to round things off nicely. Now into is fourth year, OZ has just had something of a revamp, and to celebrate the new look Ty Tenk, Truck Meredith, Kerena, Alicia and Romie are throwing open the doors for a special Wizard of Oz celebration night on Friday, March 4th from 19:00 SLT! Featuring the music of HammerFLA Magic, the Wizard of Oz Ball invites one and all to come in costume, and the Calas team can’t wait to see everyone. Not only is there music and dancing, there’s also opportunities for photos on the yellow brick road!. Simply step out on the terrace and find your way to the platform with a great OZ backdrop and poses for couples, singles, and groups! So – don your ruby slippers and click on the SLurl below.